Kahrs - Spirit Board Length - All Tile Inc. 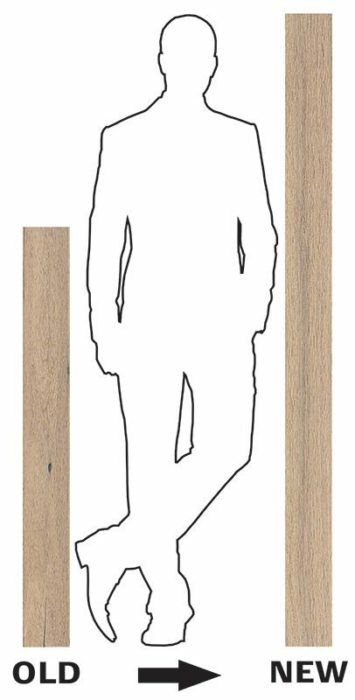 In keeping with the design trend of longer board lengths, we will be transitioning the Kährs Spirit product line from a 47” board length to 72”. Longer planks provide better visual continuity, a nice look, as well as a faster installation. As existing stock of all the Kährs Spirit products is exhausted globally, the replacement stock will come in the new board format. The plank width and thickness will not change. When a product is switched to the new format, the SKU will end in 180 instead of 120. The first products we foresee making the transition will be from the Rugged Collection as global stock of the Unity Collection is high. For questions regarding availability please contact your All Tile Sales Representative.